Izzie Colpitts-Campbell is a software and electronic artist whose work includes, wearable electronics, physical computing, as well as, game design and programming. 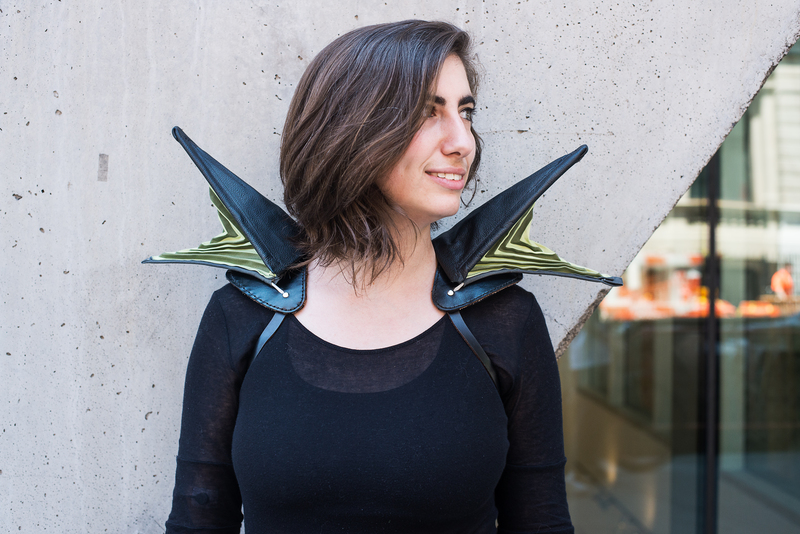 She holds a BFA in Integrated Media from OCAD University with a minor in Wearable Tech. She’s been exhibiting her work since 2008, most recently as part of the AGO’s First Thursday as well as co-authoring a paper “Monarch: Self-Expression Through Wearable Kinetic Textile” as part of TEI’15 Ninth International Conference on Tangible, Embedded, and Embodied Interaction at Stanford University. She also sits on the board of directors at Dames Making Games Toronto, a non-for-profit supporting women in games, as co-chair of the events and outreach committee. Izzie currently works as a freelancer on various projects, at research labs, including the Social Body Lab, and as an indie game developer.